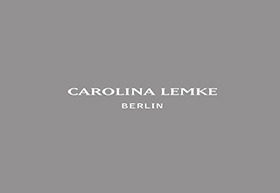 The Carolina Lemke Berlin high fashion eyewear brand offers chic, trend-setting fashion to everyone, everywhere. With our unique approach, exclusive offers and unbeatable passion, we continue conquering markets throughout the world. We design and sell high quality, fashionable eyewear at affordable prices. Our designs, inspired by cosmopolitan, trend-setting Berlin, create contemporary urban style experiences for customers.